Last week saw the annual showcase of the AUT Rookie Show. 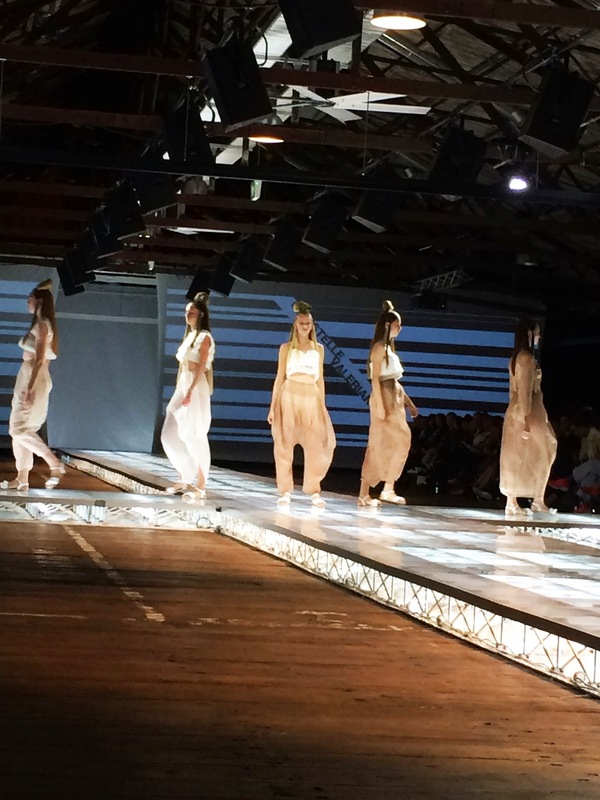 It consisted of the second and third year students, displaying their year’s worth of work walking down the runways. I love graduate shows because the students really go to town with the creativity of their collections. This year they experimented with sound, colour – and of course designs – which made for such great energy. The show opened with the eerie sound of oriental chimes as a few models trickled out with long,slick samurai-like hair. The theme was industrial and for the second year students, and their collections are shown together in one group. The colours were generally earthy, demure tones and minimalistic designs, which is a great, fashion forward forecast of what will be hitting the streets. It was hard for me to pick my favourite third year collection. And I mean that. The collections started with the demure, minimalistic colours and texture. Culottes, layers and summer trousers were staple items. Next, the collections became more and more bold, bright and energetic, with a 90s flavour. Everything from bright gumboots, overalls and clothing patches were popular. Finally, the Collections took a gothic turn with sheer blacks, fringes and flowing dresses. Designers to keep an eye on are Jarred Godman, Campbell Luke, Brit Day, Kristina Drake. Make sure to look through our facebook Gallery for all of the pictures from the show! Looks like a fun collection! 🙂 Sure we can follow each other, but the buttons at the top of your page don't work (they take me to my social media pages) so pls leave me your links in your next comment. Loving the fun colors of the collection!